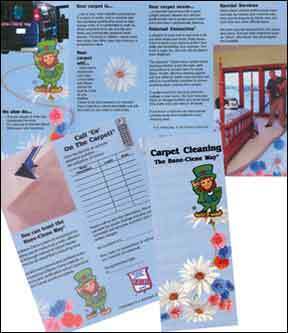 Tri-fold 8-page mailable highly colorful brochure folds out to about 8 1/2" x 14" size details the Bane-Clene System, how the customer should care for his/her carpet until your next service and the services you offer. If you want the postcards imprinted, please call with your order. 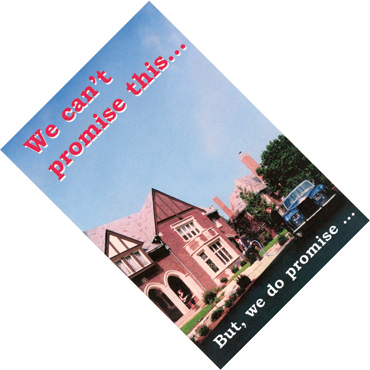 Personalized, imprinted literature cannot be ordered on-line! 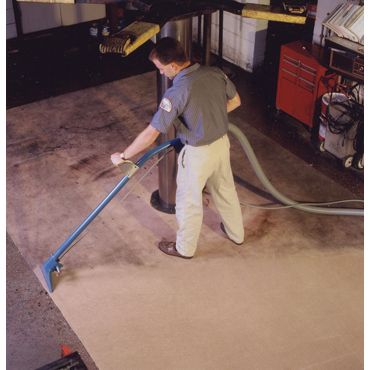 Available only to Bane-Clene® carpet cleaning equipment owners. NOTE: If you want the postcards imprinted, please call with your order. Personalized, imprinted literature cannot be ordered on-line! 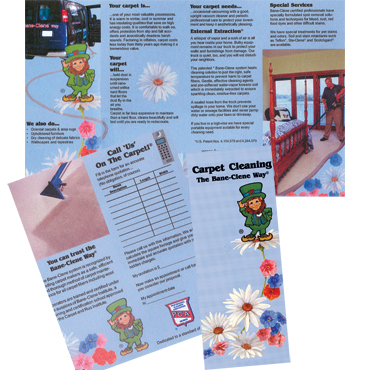 The “Jimmie” brochure/mailer has been one of the most effective brochures available to mail to prospective customers to increase you professional carpet cleaning business! 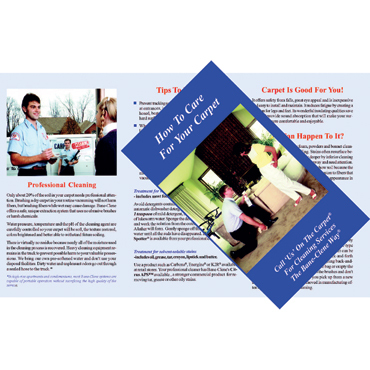 An extremely effective, eye-catching brochure to hand out at garden shows, home shows, etc. Proven highly effective in Bane-Clene’s service company. Back side is spaced for your return address and customer’s address to be imprinted. 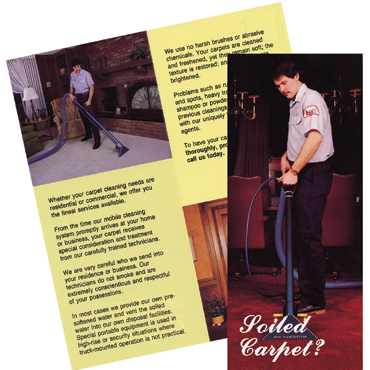 Includes information on “External Extraction”®.